This interview was originally published by RIA Novosti in Russia. It has been republished here with permission from the interviewee. What is the current state of relations between Russia, Ukraine and EU? 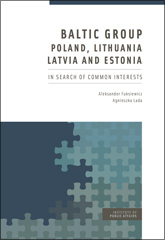 As of late August 2011, these relations are in a holding pattern, as there are several options for Ukraine on the table, and no final decision has been made which one to choose – association with the EU, involvement in the Russia-led Customs Union, or continued domestic stagnation and international isolation. Neither the European nor the Russian leaders, nor even the Ukrainian leadership, seem to be clear about the path Ukraine will take in its foreign relations, in the near future. To be sure, the new Ukrainian President has announced repeatedly that he will continue the Orange governments’ policy of rapid rapprochement with Brussels. However, a number of recent domestic developments question the feasibility of such a policy, if not the sincerity of Kyiv’s pro-European announcements. In spite of its dozens of public overtures to Brussels in recent months, the Ukrainian leadership looks fundamentally confused about the preconditions it has to meet and the implications that it will face should the signing and ratification of the Association Agreement with the EU come into reach. That said, signs of confusion can also be seen in the recent behaviour of Russia and the EU. Moscow seems to be torn between its obvious aim of seducing Ukraine into a new special relationship – if not a new union – with Russia, on the one hand, and its short-term economic interests, on the other. The gas agreement signed by then Prime Minister Yulia Tymoshenko in January 2009, under pressure from both the Kremlin and Brussels, is in Russia’s current economic interests. However, Ukraine is now paying more for gas – even after the adjustments following the Kharkov Agreement on renewing Russia’s lease of the Sevastopol base – than Germany, for instance. With such trade policies, the Kremlin is increasingly alienating both the relatively pro-Russian politicians currently in power in Kiev, and the Russian-speaking population of eastern and southern Ukraine. Brussels, in turn, has recently made the EU’s relationship to Ukraine one of its top priorities, thereby acknowledging the geopolitical dimension of Ukraine’s further development. However, the EU’s executive bodies continue to refuse to provide Ukraine with a clear, if non-binding and long-term prospect of membership, in the Union. This policy is pursued in disregard of the will of the European Parliament, as expressed in the EP Resolution on Ukraine of February 25, 2010. It also contradicts social scientific research that has found that a sufficiently credible and relevant “carrot” – and not only “stick” – is a crucial precondition for the deep Europeanization of a transition country. All three actors – Russia, the EU and Ukraine – will ultimately have to settle on long-term foreign policy aims and strategies. Presumably, this will have to happen soon in so far as the negotiation of the Association and Free Trade Agreements between the EU and Ukraine is coming to a close. The signing and ratification of these agreements in the parliaments of the EU and member states will presumably raise the political salience of Brussels’ future relations with both Kyiv and Moscow to new heights. How will the Nord Stream project affect the Russia-Ukraine-EU triangle? The main, obvious effect of the Nord Stream pipeline will be a disruption in the foundations of Russia’s relationship with Belarus and Ukraine. Currently, there exists a certain balance of economic power between Moscow, on the one hand, and Minsk and Kiev, on the other. While Belarus and Ukraine are dependent on Russian gas supplies, Russia is reliant on there being continuously and fully functioning pipelines passing through the territories of its two "brother nations." The new transportation options following the opening of Nord Stream will not cause an immediate conflict. However, it may prove seductive for the Kremlin to use its new economic leverage over the two former Soviet republics toward political ends. One can only hope that the Russian leaders will be aware of the ambivalent meaning of such behaviour. The immediate gains that Russia could reap from using Nord Stream for political purposes may seem significant, but the long-term effects of using its new economic leverage will be less clear, as in the case of Russia’s “successful” negotiation of a new gas agreement in January 2009. Ukraine’s Russian-speaking population is becoming disillusioned with Russia, as a result of the high gas price Russia is demanding from Ukraine. Should Russia use Nord Stream to pressure Ukraine even more, the disappointment felt by former friends of Russia in Ukraine will only grow. How do you see this triangular relationship developing in the future, for example, in the next 5-6 years? 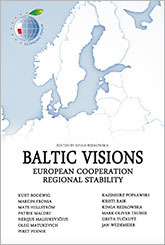 The relationship will become rather complicated given the various EU initiatives under way in Eastern Europe, on the hand, and Russia’s continued illusions about sustaining its sphere of influence in Northern Eurasia, on the other. 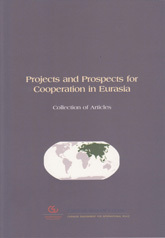 Initially, this concerned the Eastern Partnership, which has put under question Moscow’s claims to hegemony over the post-Soviet East European and South Caucasian space. In as far as Russia is making a point of keeping its distance from this initiative, every new step of rapprochement between the Eastern Partnership countries could put Brussels at loggerheads with Moscow. Moreover, the Deep and Comprehensive Free Trade Agreement, if successfully signed and ratified, is going to be the largest foreign treaty ever concluded by both, Ukraine and the EU. Should Russia choose not to pursue a parallel policy of rapprochement with the EU, the DCFTA will only create more distance between Ukraine and the Russia-dominated Eurasian trading area. The Political Association and Free Trade agreements as well the envisaged new visa-free travel regime will, sooner or later, also have spill-over effects in both Ukraine and the EU. The ratification of these three treaties and their gradual implementation could, in just 10 years time, alter Ukraine’s place in Europe. Should all the various projects currently under way between Ukraine and the EU be successful, Ukraine’s membership not only in the EU, but also in NATO, may well appear on the agenda again. In light of this forecast, my advice for the Kremlin is to intensify Russia’s relationship with the EU and to re-define its stance toward NATO. None of the aforementioned developments need to become problematic if Russia also becomes a WTO member, institutes a visa-free travel regime with Europe, re-engages in close cooperation with NATO, and puts her relations with the EU on a new contractual footing. On the contrary, within such a scheme, Russia could interpret Ukraine’s gradual integration into Western structures as steps towards closer Russian-Western cooperation. Ukraine does not have to become the political, diplomatic and cultural battleground for some new “Great Game” between Russia and the West in Eastern Europe. Rather, Ukraine’s gradual inclusion in various Western institutions should be seen by all three sides – Kyiv, Brussels and Moscow – as part and parcel of the creation of a new pan-European security structure, a common trading and travel zone, and, eventually, a transcontinental community of shared values in the northern hemisphere.